As times passes, you can´t seem to ignore signs of aging such as saggy skin, and wrinkles around your face. This page focuses on facial skin treatments you can do without having to go through plastic surgery. In the past you might have thought it not possible to look younger without surgery, but today there are several non-surgical cosmetic procedures you can do that can produce great results. Let´s discuss a few of these facial skin treatments here. Taking these injections when you have forehead wrinkles is a good temporary fix without having to go through the knife. They hurt a little bit but only take a few minutes. Taking tiny doses of these relaxes your facial muscles that cause wrinkles around your eyes, frown lines and the like. Taking these injections as facial treatments will get you results in about 3-7 days where you will actually start to see your skin getting smoother where you got the shots. At the beginning, you will need to take them every 3-6 months and less afterwards, but you will need to keep taking them because your muscles will slowly contract again causing the wrinkles to re-appear. Chemical peel treatments use acid solutions to remove old and dead cells from the outer layers of skin. The solution is normally mixed with glycolic acid, lactic acid, salicylic acid, phenol, or trichloroacetic acid (TCA). 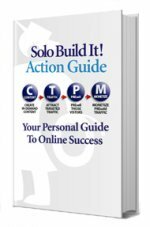 The application to the skin can last about 15 minutes and your skin might feel a bit stingy and irritated. Nevertheless the results will start to show in a few days where you will see your skin's upper layers peeling, revealing newer and smoother-looking skin. A few facial skin treatments of mild peels every few weeks can reduce age spots, fine lines, acne scars, and wrinkles caused by sun damage or aging. Mild facial skin treatment peels however show less significant results while deeper facial skin treatment peels show more significant results although causing swelling and crusting at first on your skin. The more deeper peels can be performed every 6 to 12 months. 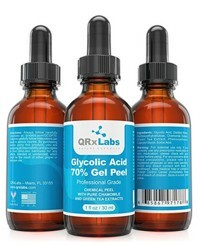 The Glycolic Acid 70% Gel Peel is an advanced peel that combines glycolic acid with pure chamomile and green tea extracts that help sooth and protect the skin and reduce redness and irritation. 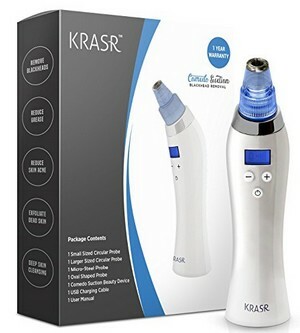 The Krasr Microdermabrasion Machine is a personal tool that gives you the benefits of microdermabrasion at your fingertips for a fraction of the cost. 4 individual probe heads provide 4 amazing benefits that smooth skin, firm it, cleanse it and remove wrinkles to improve skin’s appearance. For saggy, crepe-like skin, the Radio Frequency Thermage Skin Tightening Facial Machine will help improve the skin condition in a fast way, making you have a smoother skin and look younger. The heat prompts your body to make collagen, which tightens skin. Thermage can be painful, but just one of this facial skin treatment is usually enough to start feeling firmness in your skin. Non-ablative facial skin treatments target the lower layers of skin, while leaving the skin's surface unharmed and intact. Non-ablative lasers get under the skin's surface without damaging the outer layer. They help your skin make collagen, reduce fine lines, and improve tone and firmness. The procedure can be painful, so your doctor will put medicine on your face to numb it. The advantage for non-ablative resurfacing is its minimal downtime; women can reapply makeup before leaving the doctor's office and return to work the same day. For the best results, plan on four to six treatments with a few weeks in between. Diode laser can destroy the oil glands that feed acne. They get under the surface without damaging the skin's outer layer. The main side effect is red, inflamed skin, but within a few time you should recover. With a few sessions within 6 months period of diode laser facial skin treatment, you should get good results and have a much improved acne problem. IPL (Intense Pulsed Light) is not technically a laser, but is very effective at treating mild pigment problems and redness. IPL alone does not have a major impact on skin texture unless it is combined with another energy source. IPL can also remove unwanted color patches (like melasma and age spots) by destroying pigmented cells. It also prompts the skin to make collagen, which fights fine lines and wrinkles. Cosmetic filler is a soft tissue filler injected into the skin to help fill in facial wrinkles, restoring a smoother appearance. Most of these wrinkle fillers are temporary because they are eventually absorbed by the body. Some people may need more than one injection to achieve the wrinkle-smoothing effect. The effect lasts for about six months or longer. Successful results depend on health of the skin, skill of the health care provider, type of filler used. The above non-surgical cosmetic procedures; although less risky than surgical procedures, they do also come with some risks. You might get allergic reactions to anesthetics on your skin on some; hence, it is important to talk to your doctor about what to consider before you proceed with any of the above facial skin treatments.